The $150,000 high selling bull of the 2017 NJW sale. 173D was immensely popular with all who saw him and quickly sold to all corners of the world. Endure 173D is the product of the highly regarded NJW Program of Ned & Jan Ward, an enterprise operated on production ability under tough conditions. Under the breeding eye of NJW the household names of Hometown 10Y, Trust 100W, Homegrown 8Y etc have proven to be true industry shaping sires. 173D carries on this reputation with incredible thickness, impeccable structure, eye appeal and proven pedigree. The first group of 173D calves have an incredible look are born without issue and grow on quickly. 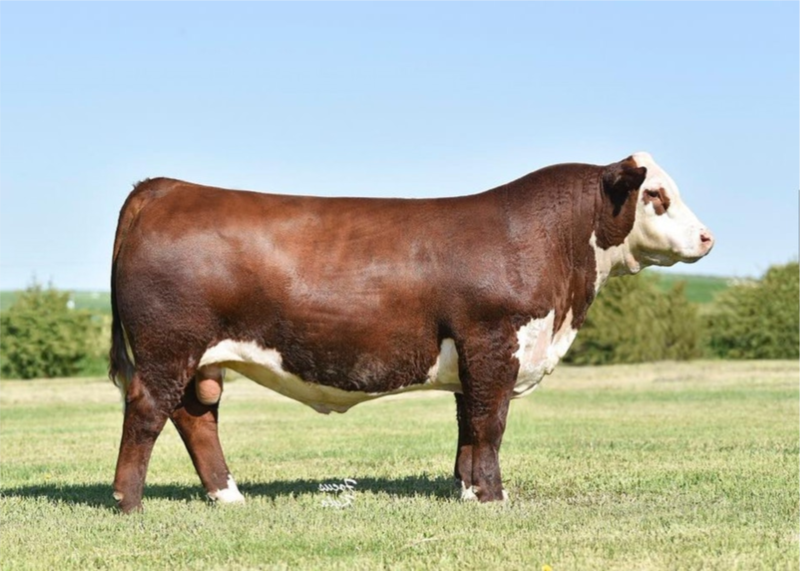 173D is well progressed as a sire that will stand the test of time and advance the industry application of the Hereford breed globally. The EBV profile of 173D is outstanding with above average calving ease, incredible growth, highly maternal traits and valuable carcase (top 1% Rib Eye, top 1% carcase weight & top 8% marbling). The 3R program is breeding for the future demands of the beef industry, paddock to plate, 173D is the exact type of bull the industry demands. Top 10% EBV's - Weaning Wgt, Yearling Wgt, Milk, Milk & Growth, Calving Ease Maternal, Udder Suspension, Teat Size, Carcase Wgt, Rib Eye Area, Marbling, CHB$ Index - An incredible multi trait package!